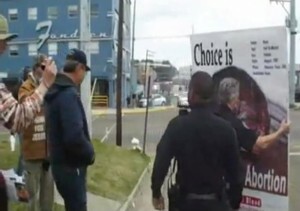 Jackson, Mississippi — Christians in Mississippi report that police are attempting to intimidate them for their continued stand for life outside of the last abortion facility in the state. Cal Zastrow says that police have become more aggressive over past few months at Jackson Women’s Health Organization in the state capital. He explained that he believes the Jackson Police Department is trying every avenue possible to force the Christians to leave. He added that police have also informed the Christians that their signs must remain in the air and may not touch the ground, and that if they stand on the curb, they will be cited for trespassing. Zastrow himself was arrested on February 28th and March 1st, and has been charged with allowing his sign to touch the ground and obstructing a public sidewalk. He states that there is no law prohibiting people from allowing hand-held signs from being on the ground. He and the two others that were arraigned in city court last week plead not guilty to the charges. Zastrow is slated to also be arraigned on a later date on a trespassing charge, and prosecutors have decided to pursue a citizen complaint that is seven years old. “They also brought up a charge against me from 2006 where the neighbor next to the abortion clinic filed a complaint saying that I was disturbing the peace on the sidewalk while I was preaching,” he said. 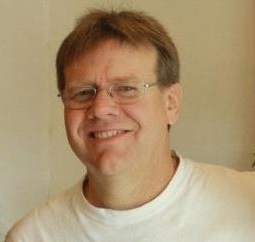 However, Zastrow was encouraged as he shared a story of God’s protection surrounding his court appearance. Zastrow, who had been sprayed in his mouth with pepper spray by a guard at the abortion facility earlier this year, advised that the guard also appeared for arraignment last week. As Jackson Women’s Health Organization is scheduled for a closure hearing on April 18th, Zastrow said that he is uplifted despite all of the attempts to silence the voices of Christians. With joy in his voice, Zastro outlined that he is glad to report that many Christians have been joining him on the sidewalk each day to take a stand against the shedding of innocent blood. Zastro said that women have been turning away from abortion because of the efforts of Christians on the street.